We were finally able to finish the next number, 2. We did numbers 0 and 1 earlier. I had two planned for October, but I just got to it this week. 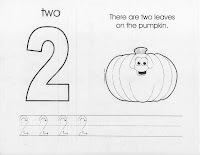 For number 2 I had made a paper where the children had to add two leaves to a pumpkin. 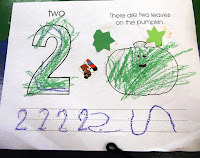 First we traced the numeral 2, then the children had to draw the numeral by themselves twice. 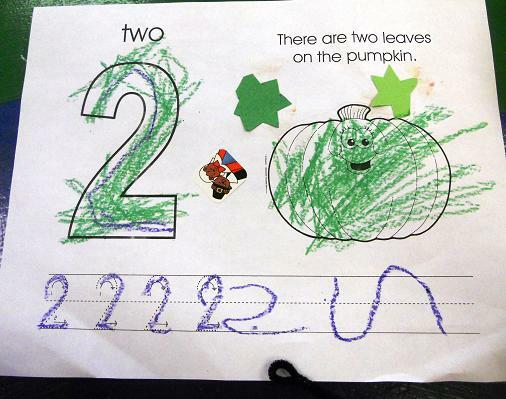 Two is a bit tricky to write. 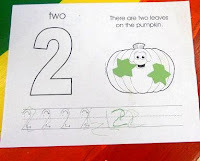 Especially since we have been doing most letters and numbers with just lines. 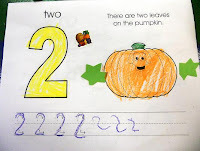 We just started doing letters with curves this week. 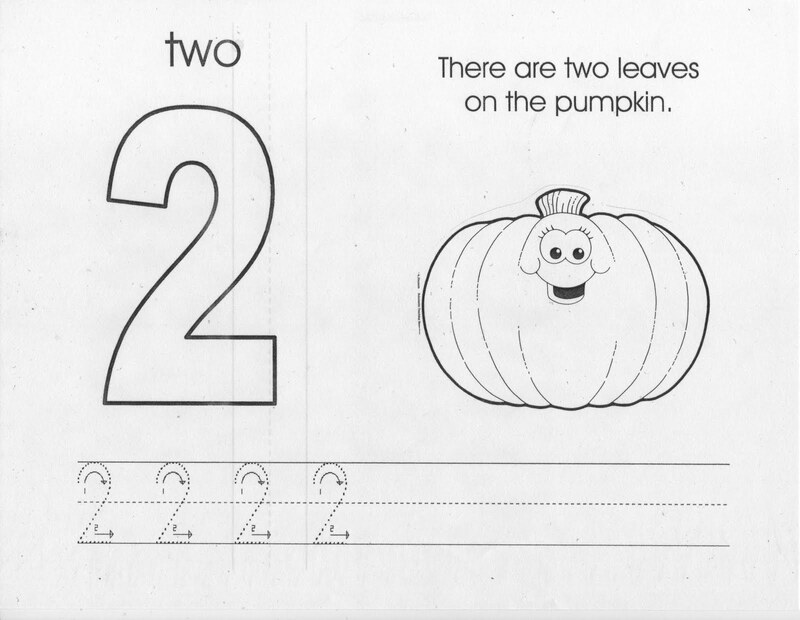 I tried to explain it to them by saying, small curve, down the sliding board, and small line across the bottom. 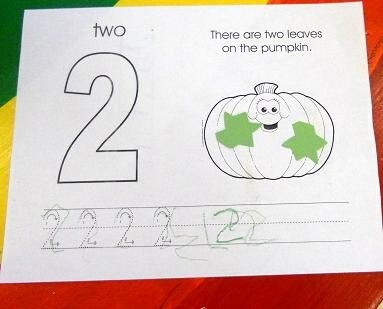 They did fairly well. 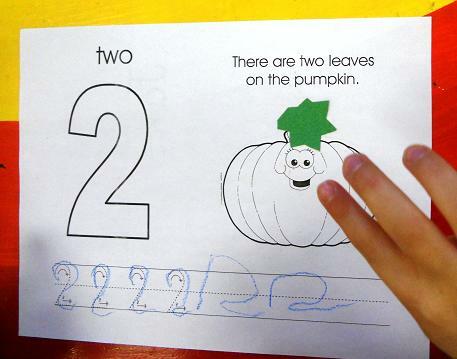 They then added two leaves to the pumpkin and they colored it in. 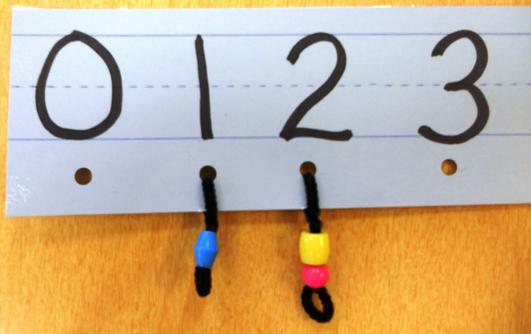 Finally we had to add two beads to our number line. This time I used a pipecleaner instead of yarn, and it worked much better. I'm hoping to get to number 3 next week, but we'll see if time permits.